I'm a sucker for sales. If I have two shirts in front of me and one is on sale but I like the full-priced shirt better, I feel this odd compulsion to buy the one on sale even when I prefer the other shirt. My logical side knows I should get the one I like best because I'll likely wear it more and get more use out of it. However, the other one is on sale. Then you go through a, "I should just buy both" moment. Then my budget minds reminds me that's a bad idea. Sales almost get me anxious and I get some serious FOMO. Is this weird? If I don't buy something, I'm missing out on the greatest deal of my lifetime. Sigh. Life is tough. There are two sales happening right now: Amazon Prime and Nordstrom Anniversary. I'm separating them out into two posts since the Amazon Prime Sale is happening right now whereas Nordstrom Anniversary still has some time. The Amazon Prime Sale goes from today through Wednesday night. First, you ought to know that the Amazon Prime Sale is for Prime members only. 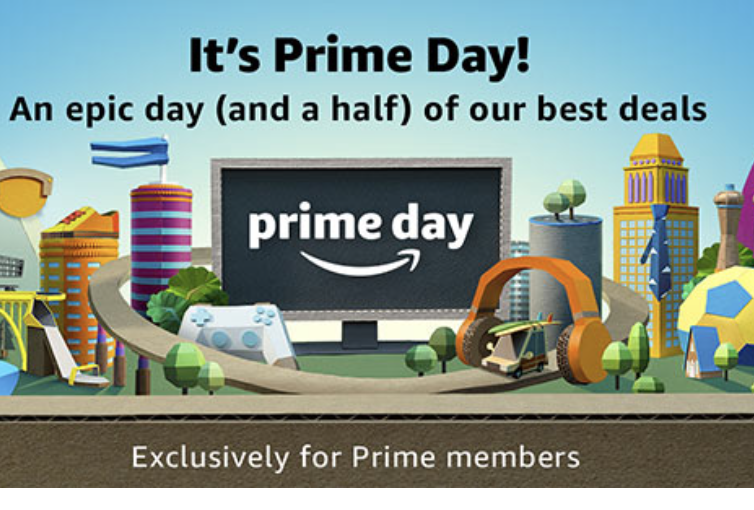 We use our Prime membership all the time, daily in fact. We watch a lot of shows with Caleb on Amazon Prime. Not to mention the two-day shipping for practically anything and everything. Totally worth it for us. Caleb loves this toy. In fact, he loves all of the Green Toys we have; they're great! It's a steal at $10.85 - usually goes for $32.99. If this is sold out, I see the Green Toys Dump Truck in Yellow and Red coming as a deal soon! Amazon Brand - Mama Bear Organic Baby Food Pouches. If these are your thing, then I see Happy Tot Organic Super Food pouches coming as a deal soon. I'm positive these would light up the dullest patio. I really want to work on our backyard setup and have always wanted to put up patio string lights. Maybe today is my day! These are $34.99 - usually goes for $49.99. What are you seeing on sale? Please share all the cool stuff.